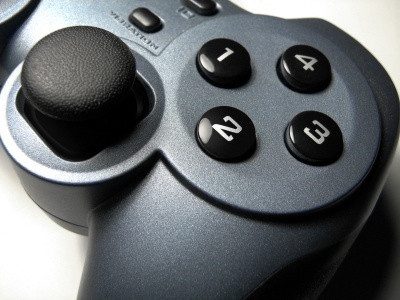 What is gamification? According to Wikipedia, gamification is the use of game-thinking and game mechanics in a non-game context in order to engage users and solve problems. Despite the picture below, nowadays you can be described as a gamer if you use the following: game consoles, handheld game consoles, computer games, and/or mobile app games. The below statistics were pulled from Jane McGonigal's book: Reality is Broken. In the United States alone, there are 183 million active gamers. Active computer or video gamers play 13 hours a week on average. Collectively, the planet is now spending more than 3 billion hours a week gaming. 97% of youth play computer and video games. 40% of all gamers are women. 1 out of 4 gamers is over the age of 50. The average game player is 35 years old and has been playing for 12 years. Most gamers expect to continue playing games for the rest of their lives. On average, gamers fail 80% of the time and yet they still find the gaming experience enjoyable. Nick Yee, a leading researcher of MMORPGs (Massively Multiplayer Online Role-playing Game) is the first person to receive a PhD for studying the game World of Warcraft. 61% of surveyed CEOs, CFOs, and other senior executives say they take daily game breaks at work. More than half of these gameful executives say they play during work in order “to feel more productive." Soon gamificaiton will no longer be a trend but a vibrant and viable strategy to retain talent and/or increase engagement across your organization. Will you take this growing gamer majority seriously and choose to leverage it to be your next generation catalyst? Question: What aspects of your life would be enriched if they were gamified?